Breast cancer is the most common cancer in women, affecting one in nine. In a small number of cases – about five to seven per cent – breast cancer is the result of a genetic change that makes a woman more susceptible to it. These genetic changes occur on the breast cancer 1 and breast cancer 2 – or BRCA1 and 2 – genes, and are known as BRCA mutations. BRCA mutations significantly increase the risk of developing breast or ovarian/fallopian tube cancers. These mutations can be inherited from either the mother or the father’s side (it’s a common misconception that they can only be inherited from the mother), and are usually seen in families that have a history of breast or ovarian and fallopian tube cancers. About one in 500 women in the general population has one of these mutations, but the prevalence is higher in certain groups such as Ashkenazi Jewish women. Women’s College Research Institute genetic counsellors Aletta Poll and Sonia Nanda help educate women about their cancer risks. Most of the women they speak to have either had cancer, or come from families with a history of breast or ovarian and fallopian tube cancers. Poll and Nanda determine whether these women need to be tested for BRCA mutations, educate them about their risks based on family history and personal risk factors, and inform them about preventive measures they can take to lower their risks. They also make sure women understand exactly what a BRCA mutation is, and what it means. BRCA1 and BRCA2 are two of those genes. We all have a BRCA1 gene and a BRCA2 gene, and that’s good because when they’re working properly, these two genes actually help protect us against breast and ovarian cancer. In fact, we all have two copies of each: one from our mother and one from our father. So BRCA1 and 2 testing is not to see if someone has these genes, because we all have them. The test is to see if they are working properly or not. “You have a big BRCA1 instruction book and you have a big BRCA2 instruction book. And what the testing does is it’s actually looking for essentially a little mistake in the gene; you can think of it like a spelling mistake. You have to look through the whole instruction book to see if it’s all right or if there’s a spelling mistake somewhere,” Poll says. In Ontario, the current testing looks for two different types of genetic changes. One is like a spelling mistake, and the other is like a missing or duplicated chapter in the instruction book. “If you think about a chapter of a book missing, the book doesn’t make sense anymore, but it doesn’t show up as a spelling mistake,” Poll says. A spelling mistake or a missing or duplicated chapter on either copy of either gene is called a mutation. The testing is expensive and time-consuming. It costs the province about $2,000 in Ontario to test someone for BRCA1 and 2 mutations. This is why family history of breast and ovarian cancer is used as an indicator to see who should be tested. Even with that screening, over 90 per cent of people tested for BRCA1 and 2 mutations are negative. For those who do carry a mutation, it’s good to be aware of the increased cancer risks. The risk for breast cancer in the general population is about seven per cent before age 70. For BRCA carriers, that risk can be as high as 70 per cent. For most women, the risk of developing ovarian and fallopian tube cancer is about 1.5 per cent. For BRCA carriers, the risk is between 15 per cent and 40 per cent. For people who do have a mutation, there are measures that can be taken to help prevent breast and ovarian cancers. One common misconception about counselling for people with BRCA mutations is that the only alternative available to carriers is mastectomy. “If we know somebody is at high risk, there’s a lot we can do to keep them well, so we want to know about the risk ideally before they get cancer,” Poll says. One of the more recent advances is MRI breast screening for women at high risk of breast cancer. MRIs are better suited to finding early cancers in young women’s breasts than mammograms, which are usually used in post-menopausal women. Women with BRCA mutations tend to get breast cancer at a much younger age than other women. Young women’s breasts tend to be denser, and mammograms don’t give a very good image of dense breast tissue. “They can still do a mammogram but the image is really fogged out and it’s hard for them to see cancer even when it’s there. 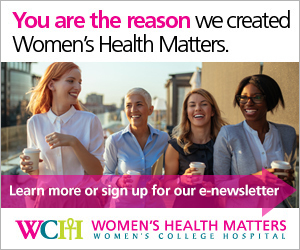 So it’s really important – especially in young women who are at high risk at a young age – that they have screening by a different method,” Poll says. MRIs are a safe and effective way to find breast cancers and are very sensitive at finding breast cancers when they’re small and often before they have spread. Ovarian/fallopian tube cancer screening is not as effective as breast cancer screening at finding cancer in its early stages. Even with screening, most ovarian and fallopian tube cancers are still found at an advanced stage when the prognosis is poor. For that reason, the risk of ovarian and fallopian tube cancers is often a greater worry than breast cancer for women with BRCA mutations. There are some medications that can help reduce the risk of developing breast cancer. These include tamoxifen, which cuts breast cancer risk by about half. For ovarian and fallopian tube cancers, taking oral contraceptives reduces risk. “Three to five years of the birth control pill will make a big reduction in your ovarian cancer risk, so it’s a fairly easy way that people can be treated,” Poll says. Some women also consider preventive surgery to prevent cancer. One option is mastectomy: preventively removing the breasts before they get cancer. However, preventive breast surgery is a major undertaking. Counsellors are more likely to encourage women with mutations to consider preventive removal of the ovaries and fallopian tubes. Usually this surgery – called salpingo oophorectomy – is recommended to women in their early 40s because that’s when ovarian cancer risk becomes more significant in women with mutations, and by then they have usually completed their families. It’s important to note that not all families with a history of breast cancer are BRCA mutation carriers. In some families, there may be several cases simply because breast cancer is common. In other families, there may be other factors that contribute to breast cancer risk. That’s one of the reasons why genetic counselling is very helpful for many women even if it turns out they are ineligible for genetic testing. “It’s about helping them understand their level of risk,” Poll adds.